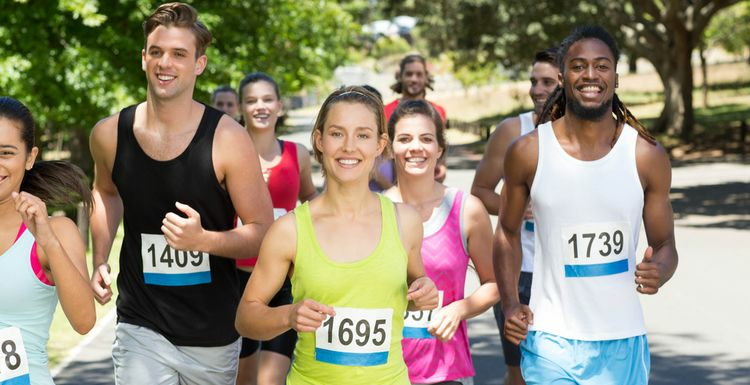 HOW TO CHOOSE YOUR SUMMER RUNNING EVENT. IT’S NOT TOO LATE! Feeling inspired by the London Marathon? The great race marked the beginning of the running season and the entry window for next year has closed already, so unless you were organised you've missed the boat for the 2019 London Marathon. If didn’t plan that far ahead, there are plenty of alternatives. Here are some ideas; start your training while you are deciding then you will be all set. If you are looking for other chances to get the ‘buzz’ of a big race, think outside the London box. There are events passing many of the UK’s other icons, both urban and rural. There are also events with added mud, colour runs and all sorts of extra challenges. Want the fun of a group without the enormous crowds? The Wings for Life World Run in early May uses the clever idea of a virtual chase car to make a moving finish line. All the races round the world start together, but fortunately that makes the UK start time a civilised noon. The virtual chase car starts 30 minutes later at 15km/h, and then gradually speeds up until everyone has been ‘caught’. Runners are notified via their phone when they have been overtaken and their race is run. The last male and female to be caught anywhere in the world become world champions. There’s more to running than the big marathons. Most towns of any size will have running groups, starting at fun run and working up to half marathon and more. New runners will always be welcome, so ask at your gym or on local social media groups to see what’s out there. Now all you need to do is ramp up the training. Whatever the distance, get your running legs on, sort out your running shoes and you’ll be ready for the start line. I would also advise looking around for smaller local events - there's lots about and they're a lot cheaper too. I've got friends who are off on smaller events every weekend, both near and far - while the big events may be prestigious, the smaller ones are a lot easier!